Twenty five years since one of the world’s leading tour companies, G Adventures, selected Ecuador as the destination for its first-ever tour in 1990, the company is offering a special cruise package to Ecuador’s famous Galapagos Islands, voted by readers of a major American magazine recently as the most beautiful islands on Earth. The seven-day package will see guests cruise for four nights onboard the ‘Queen of Galapagos’, a yacht with nine luxury cabins all with private views, as they discover the unique wildlife which the archipelago is famous for. A highlight will be a visit to the island of Floreana, where G Adventures has partnered with locals in a new initiative under its Planterra Foundation to offer low impact, community-based ecotourism. 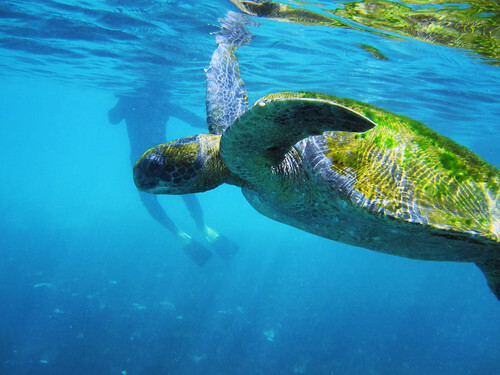 Since 2012, G Adventures has helped islanders establish a community tour operation to manage tourism on the island – the first time an entire island has organised around community tourism in the Galapagos. The initiative aims to offer employment to young locals, minimise environmental impact and see residents take control of their island and manage tourist activities. The Galápagos Islands were made famous by Charles Darwin when he visited in 1835. His observations of the endemic wildlife and the way they had adapted eventually formed the basis for his groundbreaking ‘Theory of Natural Selection’. Since then the Galapagos Islands have proved a popular attraction, with readers of the glossy US magazine, Travel + Leisure, recently voting them as ‘the most beautiful islands in the world’. Ecuador is becoming a popular holiday destination as Australians widen their horizons, with more than 12,000 Australians travelling to Ecuador in 2013, a 44% increase on 2009. Guests on the cruise will board the ship at Puerto Ayora after flying from Ecuador’s capital, Quito, on the mainland. A visit to the island of Floreana will include guided nature walks, an excursion to a lava cave and a stop at Post Office Bay – where 18th century whalers left letters for passing ships to deliver to their loved ones, a tradition continued by Galapagos visitors today. Guests can spend the afternoon snorkelling at an underwater volcanic cone, where they can spot tropical fish and sea turtles. The yacht will then travel to Española, home to several sea lions, swallow-tailed gulls and the endemic Espanola mockingbird. In addition to spotting wildlife, guests can learn about the island’s geological history and swim in the clear blue waters. Guests will also visit the island of San Cristobal, known for the spectacular Kicker Rock which rises 140m from the sea, and its diverse wildlife, including flamingoes and marine iguanas. Guests will return to Quito the following day. 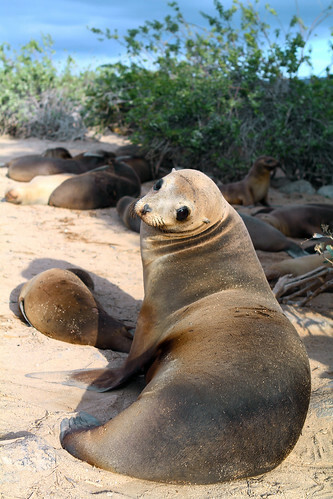 The seven-day package includes four nights aboard the Queen of Galapagos, two nights’ hotel stay in Quito, flights to and from the islands, snorkelling equipment, six breakfasts, four lunches, four dinners and all landings, excursions and transportation. The package costs from A$3599 per-person, twin-share and is available for departures throughout 2015 and 2016. For more information, visit www.gadventures.com.au or call 1300 853 325.